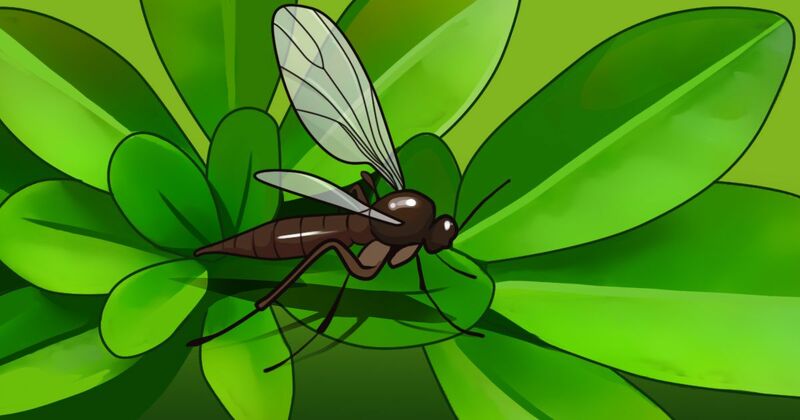 Gnats are tiny little flies that like to nest in moist soil. They also seem to swarm around fruit and drains. Although they don't bite, they are an annoyance that many people would like to be rid of. You don't have to just put up with these pesky little buggers any longer. Try the 10 home remedies for getting rid of gnats below. One of these may do the job, quickly and efficiently. 1. Don't over water plants. Since gnats like to lay eggs in moist dirt, keeping the dirt for houseplants on the dry side is recommended by Better Homes and Garden (BHG). 2. Have sufficient drainage for house plants. To keep the dirt from getting extra moist when you water, having good drainage is another BHG recommendation. 3. Gnat Stix. BHG also recommends putting Gnat Stix in the dirt for plants that just seem to be breeding grounds for gnats. 4. Use apple cider vinegar. If you have trouble with gnats in the kitchen, Bob Villa says to make a mixture of apple cider vinegar, water and dish soap and put it out in a dish. This will attract the gnats, and they will drown in the dish. 5. Use red wine. Another way to lure and kill gnats is mixing red wine and soap and setting that out. Villa recommends this for places like the dining room. 6. Pour bleach down drains. In the bathroom where wine or vinegar can't really be used, Villa says pouring diluted bleach down the drains will help dry them out and kill off the gnats and their eggs. 7. Mash rotten bananas. Another option for the kitchen, according to Villa, is mashing up some rotten bananas and placing them in a bowl and covering them with saran wrap. You then poke some holes in the saran wrap and set it out. The gnats will get trapped inside and die. 8. Spray vinegar on gnats. If you have some gnats flying around and you can't find the source, Villa says to mix some water, vinegar and dish soap and spray the gnats in-flight. 9. Scatter mint and basil. Reader's Digest says to scatter some mint or basil leaves on the counter around your fruit to keep gnats away. 10. Rub surgical spirits on the counter. If you don't have any mint or basil, Reader's Digest says that you can also rub some surgical spirits on the counter around the fresh fruit, and that should repel the gnats. No longer do you have to be driven crazy by those tiny little bugs! You can fight back. Set a trap and rid your house of these pesky little creatures and restore your peace of mind!